The perfect combination of pancakes, syrup, and bacon all rolled into this amazing cupcake! 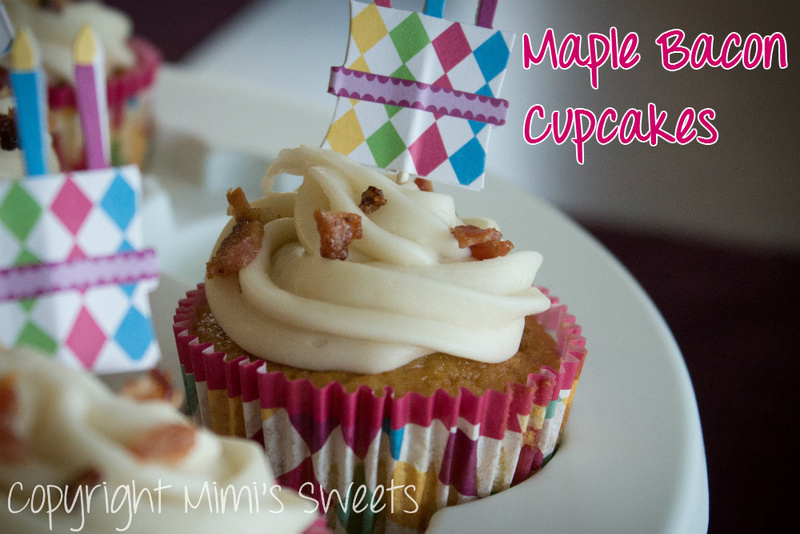 I know I've posted about Maple Bacon Cupcakes before... 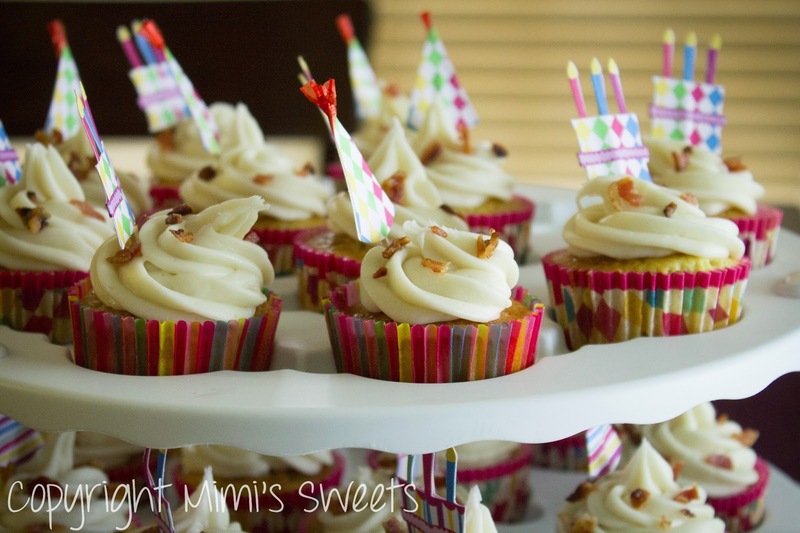 However, this time they were made for a birthday (I'm hoping you can tell from the festive baking cups and toppers), so I wanted to share with you the many ways any type of cupcake could easily be used for any given occasion. If you haven't gotten a chance to read my previous post about them, I'll tell you that the thought of this flavor cupcake made me cringe before I broke down and made them for the first time. I love pancakes and bacon, and I can't tell you why I thought it wouldn't taste good... it just seemed like it would be gross. Boy, was I wrong! These cupcakes literally taste like pancakes with syrup and bacon. I'm loving these cupcakes now! As you can see from the pictures, there's real, cooked bacon crumbled on top of the icing. What you can't see are the pieces of bacon and the maple syrup that are all throughout the cupcakes. If you're wondering what kind of icing that is (since it isn't truly white), it's maple buttercream icing. Yep, there's maple syrup in that icing... and it's gooooood! If you are brave enough, give these cupcakes a try. I promise that you won't be disappointed! Live in the Charlotte, North Carolina area and want to buy some? You can do so here or by emailing me at mandy@mimissweets.net. If you enjoyed this post, you should check out my Waffle and Pancake Recipe.